Earner of 137 Halter Points,51 Grands,15 Res. Proven sire of color, comformation and disposition.Has been collected, nice to handle. 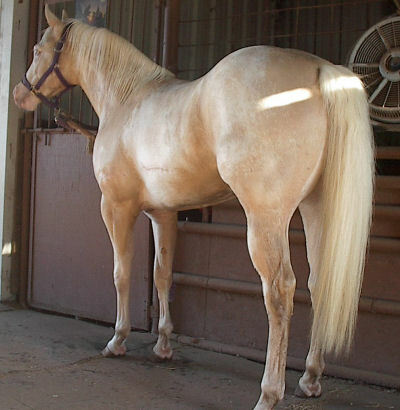 No longer available..
Heza Centerfold Dzyn APHA aka "Drake" 01 Palomino overo 15.1 hand,1400lb stallion.Ima Luckychance APHA X Chances Centerfold AQHA. 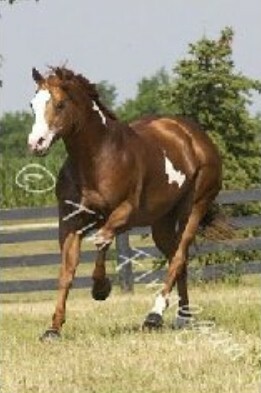 APHA Halter Winner,Futurity Money Earner.Proven sire of Color,Palominos, comformation and muscle. Oldest get riding now,really doing great! Heza Awesome Dzyn APHA,06, Palomino overo, 15.1,1200 lb. Unshown due to mouth injury as a foal,Smart,willing to learn,nice mover under saddle. First foals in2010.Siring color and comformation! !